Welcome to our vaulted ceilings photo gallery for all rooms of the home. 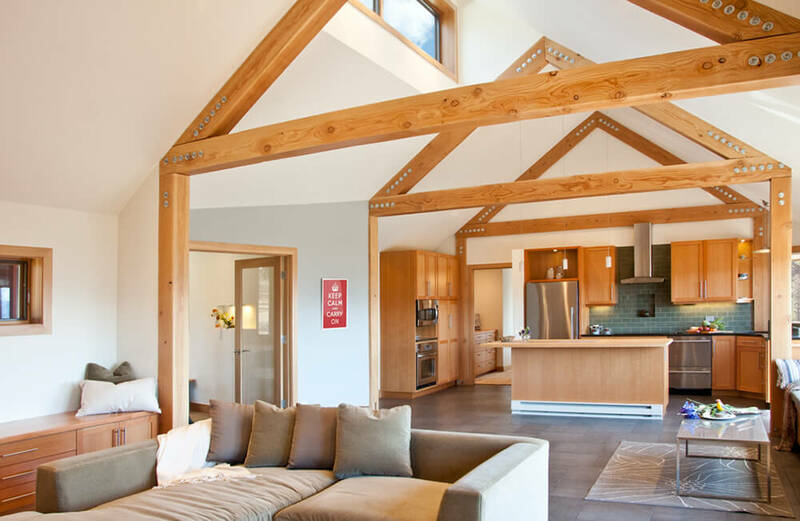 This is our main vaulted ceilings page where we showcase vaulted ceilings for kitchens, living rooms, dining rooms, bedrooms, foyers and all other rooms of the home. It’s a ceiling that is taller than the standard 8-foot ceiling, but it also includes some form of an angle to it. It could be one angle (also known as a shed ceiling). It could be two angles joining together, wither asymmetrically or in the center (when joined in the center it’s also known as a cathedral ceiling). Moreover, the ceiling may be curved or bowed, which is another distinguishing factor from cathedral ceilings, which join symmetrically and have straight angles. In a nutshell, a vaulted ceiling is an umbrella term for any ceiling taller than the standard 8 feet… but often involves some angle. If there’s no angle but the ceiling is fairly tall, that’s a tall flat ceiling, but often referred to as vaulted. A large great room featuring a stunning vaulted ceiling and classy hardwood flooring. The room boasts a nice sofa set and a charming dining table set. A modish master bathroom with staggering walls and floors. There’s an open shower and a lovely soaking tub. Luxurious home gym with treadmill and free weights with mirrors on the wall and wood floors. A classy bedroom featuring a vaulted ceiling with exposed beams and elegant carpet flooring. There’s a fireplace as well to keep the place warm. An elegant formal living room featuring a large stylish fireplace and a graceful rug covering the hardwood flooring. A small living space featuring a modish fireplace. The area is under the high vaulted ceiling made of woods. A spacious master bedroom featuring white carpet flooring and vaulted ceiling. The room also boasts a very stylish fireplace and a private living space. 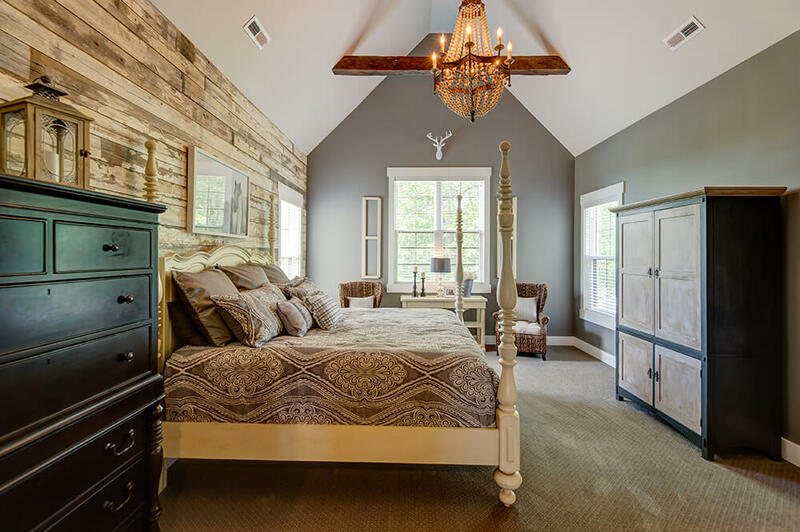 A large and classy master bedroom with a staggering vaulted ceiling with exposed beams matching the hardwood flooring. The white walls and white vaulted ceiling along with the beige carpet flooring make this bedroom looks so classy. Luxurious master bedroom featuring a beautiful bed set on the attractive carpet flooring. The warm white lights add a romantic vibe to the room. A large kitchen boating a massive center island set on the hardwood flooring. The vaulted ceiling with exposed beams provides magnificent bright lights. A close up look at this master bathroom’s freestanding tub and stylish shower area. A sprawling master bathroom with luxurious pieces of equipment all under the stunning vaulted ceiling with skylights. A simple yet classy master bathroom featuring tiles flooring and a deep soaking tub, along with the vaulted ceiling providing a skylight. A massive master bathroom boasting marble tiles flooring and a large deep soaking tub under the vaulted ceiling with skylights. A stylish formal living room featuring a brick wall and a vaulted ceiling offering skylights. A classy master bathroom with a deep soaking tub and a walk-in shower area, along with its tiles flooring and vaulted ceiling. An elegant formal living room featuring hardwood flooring and a vaulted ceiling with beams lighted by a modish chandelier. The sofa set looks perfect together with the stylish fireplace. This kitchen and dining combo under the rustic vaulted ceiling look so elegant with its classy white walls and floors. A beautiful and large formal living room boasting brilliant hardwood flooring and a stunning high ceiling together with an elegant brown leather sofa set. This formal living room is oozing with elegance with its walls and floors, along with its sofa set near the fireplace. A simple formal living room with beige sofa set on top of the hardwood flooring. The fireplace looks perfect together with the white vaulted ceiling. A great room featuring hardwood flooring and vaulted ceiling lighted by recessed lights, pendant lights and a chandelier. A classy formal living room with a nice sofa set on top of a graceful carpet flooring. The fireplace with a brick wall extending to the vaulted ceiling looks very stylish as well. A spectacular living room set with a cozy sofa set and a fireplace on top of a classy rug lighted by a striking pendant lighting. A stunning master bedroom surrounded by wooden walls and ceiling and is lighted by a glamorous chandelier. The vaulted ceiling lighted by gorgeous lights turns this space into an exquisite place with nice seats and a fireplace. The blue long sofa set adds color in this white formal living room set on the carpet flooring. The brick wall in this living space is surely attractive. Added by the skylights set on the vaulted ceiling and this area is surely a great place to relax. A large classy formal living space with an elegant sofa set on top of a lovely carpet flooring. The fireplace looks stylish. A small living space featuring a cozy couch on top of the gray carpet flooring surrounded by white walls and ceiling. A perfect area to relax with its seats and fireplace set on the hardwood flooring. The glass windows overlook the attractive view outside. This spacious home features hardwood flooring and white and green walls along with a vaulted ceiling. A small master bedroom boasting elegant-looking hardwood flooring along with classy white walls and ceiling. This dine-in kitchen features hardwood flooring and vaulted ceiling lighted by recessed lights and a gorgeous chandelier. A modish formal living room with a stylish fireplace with a TV on the wall. The area also features a nice sofa set. This home boasts white walls and carpet flooring along with a vaulted ceiling lighted by small and classy chandeliers. This bedroom features white carpet flooring and a vaulted ceiling with exposed beams. There’s also a stylish fireplace. The green walls and vaulted red ceiling make this children’s bedroom looks so attractive. A second-floor living space set on the hardwood flooring under the vaulted ceiling lighted by a glamorous ceiling lighting. The high vaulted ceiling makes this formal living room looks classy and stylish. The sofa set looks perfect together with the fireplace. Blue boys’ bedroom featuring carpet flooring and vaulted ceiling. The elegant sofa set and the stunning fireplace under the vaulted ceiling look perfect together with this formal living room’s style. White formal living room boasting classy carpet flooring and white cozy sofa set along with a fireplace. Modern home featuring a staggering formal living room with stylish furniture set surrounded by glass walls overlooking the breathtaking outdoor views. A stunning home covered in wooden walls, floors and ceiling along with a pillar made of stones. The high vaulted ceiling with tall glass walls makes this home look simply breathtaking. A great room under the vaulted ceiling with exposed beams and is surrounded by white walls. The high wooden vaulted ceiling matches well with the hardwood flooring and the white walls. A very attractive master bedroom featuring gray walls and vaulted ceiling lighted by a glamorous chandelier.